Suleikha Snyder : Six Weeks of Spice: Giveaways Galore! Six Weeks of Spice: Giveaways Galore! 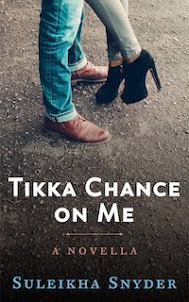 In honor of the November 20 release of Bollywood Confidential book two, Spice and Secrets, I'm doing six weeks' worth of Twitter-based giveaways! So follow @suleikhasnyder for freebies and fun! Week of Oct. 15 - Two copies of Jeanne Cooper's (Katherine, Y&R) memoir, Not Young, Still Restless. Week of Oct. 22 - Cleis Press erotica anthology pack: Game of Thrones-inspired Thrones of Desire and hotel hijinks-filled Suite Encounters, featuring a short by yours truly. Week of Oct. 29 - Kicking it YA-style, but historically. Win a copy of Willful Impropriety, an anthology featuring works by Leanna Renee Hieber, Mary Robinette Kowal and more. Week of Nov. 5 - Kicking it more YA-style: urban fantasy genius Kelley Armstrong's The Gathering in paperback and The Calling in hardback. Week of Nov. 12 - Tessa Dare Spindle Cove prize pack! A Night to Surrender, A Week to be Wicked and A Lady By Midnight. Week of Nov. 19 - Release week! Hurrah! A Bollywood Confidential twofer: Spice and Smoke and Spice and Secrets in the e-format of your choice! Books will be given away via trivia questions, random number generator and "Hey, you...I kinda like your face" moments. Spread the word, join the crazy and spice things up!